NYC Schools Chancellor Carmen Fariña Adds Veteran Educators to Her Senior Staff! “Schools Chancellor Carmen Fariña today announced new members of her leadership team at Department of Education (DOE) headquarters. Dorita Gibson, previously the Deputy Chancellor for Equity and Access, will assume the role of Senior Deputy Chancellor and the Chancellor’s second in command. With more than 30 years experience in the public school system, Dr. Gibson has served as a teacher, assistant principal, principal, regional and supervising superintendent, and Deputy Chancellor. In this new and expanded role, she will oversee all aspects of school support, Cluster and Network management, superintendents, support for struggling schools, District 79 programs, and school communications. These are excellent appointments that portend good things for the education of the children of the City of New York. Higher Education Policy Seminar Series! City University of New York, sent out the notice below announcing the speakers for this semester’s higher education policy series. These are usually interesting and well-attended events. Nicholas Kristoph Examines the Debate on Universal Pre-K! In the New York Times today, columnist Nicholas Kristoph weighs the pros and cons of universal pre-K and concludes that the United States is far behind other industrialized countries. Kristoph starts by echoing President Obama who commented at the State of the Union Address that “Research shows that one of the best investments we can make in a child’s life is high-quality early education.” Preschool may also be the only issue on which Republicans and Democrats agree: . A poll last year found that 60 percent of Republicans and 84 percent of Democrats support expansion of prekindergarten. He then reviews other studies that looked beyond cognitive gains at long-term improvements in life outcomes such as arrest rates and high school graduation rates. He also mentions the “sleeper effect” that children maybe learn self-discipline, patience or grit. President Obama’s State of the Union Address – Good Oratory but Little New! 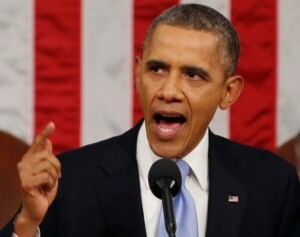 President Obama gave his state of the union address last night before the U.S. Congress. His presentation was emotionally inspiring but there were few new proposals or ideas for moving the country forward. It was a lot of what has been accomplished and little of what lies ahead other than he is willing to exercise more executive privileges to get something (maybe anything) done in Washington, D.C.
For those of us interested in education, he rehashed many of the policies (i.e., Race to the Top, early childhood education, community colleges, training for technology jobs, college affordability) that he has been promoting since he was elected. 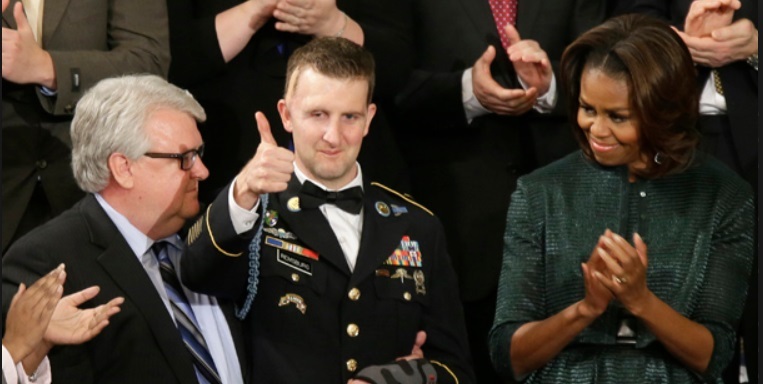 “…on his tenth deployment, Cory was nearly killed by a massive roadside bomb in Afghanistan. His comrades found him in a canal, face down, underwater, shrapnel in his brain. The audience gave Cory a standing ovation and tears could be seen in the eyes of a number of our representatives. Pete Seeger Dies at the Age of 94! “Mr. Seeger’s career carried him from singing at labor rallies to the Top 10 to college auditoriums to folk festivals, and from a conviction for contempt of Congress (after defying the House Un-American Activities Committee in the 1950s) to performing on the steps of the Lincoln Memorial at an inaugural concert for Barack Obama. He toured the world, performing and collecting folk songs, in 1963, and returned to serenade civil rights advocates, who had made a rallying song of his “We Shall Overcome.” Like many of Mr. Seeger’s songs, “We Shall Overcome” had convoluted traditional roots. It was based on old gospel songs, primarily “I’ll Overcome,” a hymn that striking tobacco workers had sung on a picket line in South Carolina. For those of us growing up in the 1960s, Pete Seeger’s music inspired our generation and generations to come. New York State United Teachers Union Votes No to the Common Core and No Confidence in Education Commissioner John King! “The Common Core Standards have been adopted in 45 states in an effort to make sure students across the country are being held to the same benchmarks. The initiative –- and the standardized tests that are being used in conjunction with it -– are supposed to emphasize critical thinking and deeper learning. According to the union, the Common Core implementation process is being rushed and conducted without adequate transparency in New York. Though King has recently attempted to open the lines of communication on the subject through a series of forums around the state, the NYSUT contends he has continually ignored the voices of parents and educators. In a statement released over the weekend, the board of the NYSUT said it would like to see the state make major changes in the Common Core’s implementation process, including putting a moratorium on consequences for students and teachers in connection to the program’s high-stakes tests. Other proposed changes include the release of test questions associated with the Common Core for teachers to utilize for instruction purposes, and more engagement with local parents. On a national scale, American Federation of Teachers President Randi Weingarten supports the Common Core mission but has condemned places like New York for disastrous implementation processes. Weingarten supports the actions of the NYSUT, which is an AFT affiliate, and told The Huffington Post that she is not surprised by the vote. “NYSUT’s position is perfectly consistent with where they’ve been. They said over and over to John King you have to do the following 10 things, there are 10 kinds of adjustments that need to be made,” Weingarten said over the phone. The National Education Association, the nation’s largest teachers union, has also supported the NYSUT vote, despite generally backing the Standards. NYSUT is correct in its position. The Common Core which holds promise for improving education in our public schools was poorly implemented in New York. Teachers were not trained, new materials not developed, and assessment tests rushed. Students, teachers and parents have felt like victims of the Common Core when they should been beneficiaries. New York Times Editorial Calls for Fine-Tuning School Evaluation System! A New York Times editorial (see full text below) today recommends that Mayor Bill de Blasio and Chancellor Carmen Farina fine-tune the public school evaluation system initiated in the prior Michael Bloomberg administration. The evaluation system based on calculating a letter grade (A thru F) for each school has been criticized as confusing and not transparent mainly because parents as well as most people outside of the NYC Department of Education, cannot figure out what these grades mean. The A-to-F school evaluation system is a small element of the issues that need fixing in our public education system. There are far more important concerns that should be a priority for the new administration. First, the establishment of universal pre-K should remain a central focus. This has the potential of significantly improving education for all children in New York City. Second, a thorough review of the testing mania that was imposed on the public school system be revisited with an eye towards developing new and fewer assessments of teaching and learning. And to establish pedagogical practices that do not depend upon teaching to the test. Third, the Common Core curriculum has elements that may prove beneficial but its rushed and poor implementation has cast grave doubt on its usefulness. To be fair, the implementation was imposed by John King and the New York State Board of Regents. Regardless, the local school systems including New York City need to clean-up the public relations nightmare created at the state level and implement curriculum improvements whether the Common Core or something else that can advance the education of all students. In sum, de Blasio and Farina should concentrate on improving teaching and learning and defer spending significant energy or resources on salvaging a flawed school evaluation system. New York state test data to be released later this spring will include sobering news for Mayor Bill de Blasio and his new schools chancellor, Carmen Fariña. The data show that only one in four New York City students who started high school in 2009 and graduated in 2013 performed well enough on the Regents exams to meet the state definition of college readiness. Racial and ethnic breakdowns are not yet available. But they are likely to mirror last year’s statistics, which showed striking racial disparities: Only about 11 percent of black and about 12 percent of Hispanic graduates were deemed college-ready. Mr. de Blasio, who has had a field day bashing his predecessor over this problem, must now find a way to solve it by ramping up the quality of education for poor and minority children. For starters, the city must preserve, at least in part, the controversial school evaluation system that Michael Bloomberg introduced in 2006. Mr. de Blasio has rightly decided to junk the simplistic, deeply unpopular A-through-F grading system that is used to rate schools. But there is much about the evaluation system that’s worth preserving, including its tight focus on the issue of equity, which means holding schools accountable for how well they educate poor and minority children who are too often written off and left behind. Historically, the rankings compared a school’s test scores with those of the district as a whole. But under that system, demographics ruled the day; wealthy schools invariably were ranked at the top and poor schools at the bottom. Commendably, the Bloomberg administration devised a way to control for demographically driven differences that enabled it to reach the bedrock question of how much a given school actually improves student learning from year to year. Despite its imperfections, the system found that schools with similar populations of poor and minority children posted vastly dissimilar results. This, in turn, allowed officials and teachers to zero in on a school’s weaknesses, with positive results. The data show that over the last two years, nearly 80 percent of the lowest-performing schools improved their ratings after receiving help in the areas where they were weak. The A-through-F rating system has several deficiencies. First, it lacks transparency; many people find it hard to understand how reams of complex information are crunched down into a single grade. Second, when people think of letter grades, they think of an overall quality rating, not a rating based largely on special factors. As a result, parents, lawmakers and others were confused when a school at which the overwhelming majority of students were performing well received a mediocre rating because it saw less improvement than schools at which students were not doing as well. It would be better to do away with the overall grade and continue to report a separate rating for each relevant metric — say, one each for overall performance, success with disadvantaged students and so on. The Bloomberg administration acknowledged shortcomings in the evaluation system, especially at the elementary and middle school levels, where too much weight had been given to testing and too little weight to nontest indicators of school performance (thus forcing weaker schools to spend far too much time teaching students how to take tests). The new evaluation system must give significant weight to how well schools are preparing students for the next level and keeping children on track for college readiness. The report cards can be improved and revised. But their basic purpose — providing a plausible system for measuring student progress — cannot be abandoned. If it is, city officials will never know how well students are doing until, on graduation day, they find that too many of them do not have the skills they need to go to college. New York Times Editorial Blasts the Koch Brothers and Moneyed Interests! The New York Times editorial today blasts the Koch Brothers and the moneyed-interests that seek to control our democracy by spending hundreds of millions of dollars on conservative candidates and causes. The editorial appears below in its entirety and is quite candid in its assessment. It is also a nice complement to my earlier posting this morning on billionaire, Thomas Perkins. The Democrats have smaller versions of these operations, though they are more focused on building a super PAC to collect unlimited donations supporting Hillary Rodham Clinton in 2016, and they lack the resources to compete with the Kochs at this stage. The clandestine influence of the Kochs and their Palm Springs friends would be much reduced if they were forced to play in the sunshine. The Internal Revenue Service and several lawmakers are beginning to step up their interest in preventing “social welfare” organizations and other tax-sheltered groups from being used as political conduits, but they have encountered the usual resistance from Republican lawmakers. Considering how effectively the Koch brothers are doing their job, it’s easy to see why. Billionaire Venture Capitalist Thomas Perkins Compares Treatment of Super Rich by Progressives in America to the Treatment of the Jews in Nazi Germany! The media are jumping all over venture capitalist Thomas Perkins who wrote a letter to the editors at the Wall Street Journal, comparing the plight of the rich to the Holocaust, called “Progressive Kristallnacht Coming?”. “I would call attention to the parallels of fascist Nazi Germany to its war on its ‘one percent,’ namely its Jews, to the progressive war on the American one percent, namely the ‘rich,'” Perkins wrote. Thomas Perkins, one of the founders of venture capital firm Kleiner Perkins Caulfield & Byers, was comparing the call for taxes on the super rich to the slaughter of millions in the Holocaust. It is incredible that someone of such accomplishment would make this comparison and that a major newspaper would actually print it but then again the Wall Street Journal is now owned by Rupert Murdoch. Sen. Elizabeth Warren Urges New York Democrats to Keep to a Progressive Agenda! Sen. Elizabeth Warren (Massachusetts) rallied a congregation of progressive supporters in Midtown Manhattan on Thursday night, in a rousing appearance designed to put pressure on the state’s moderate Democrats, including Governor Andrew Cuomo. Warren was making her first public appearance in New York City since she was elected to the Senate. “…[Warren] inserted her voice into state debates over campaign finance reform, universal preschool and income inequality. She praised policy proposals backed by New York Gov. Andrew Cuomo and newly elected New York City Mayor Bill de Blasio — and indirectly referenced tensions between two of the state’s highest-profile Democrats. In his State of the State address earlier this month, Cuomo said he would push for campaign finance reform again, after it stalled in the state legislature last year. Warren, a favorite of Democratic Party reformers, added some pressure of her own. The senator also spoke positively about de Blasio’s proposal to raise taxes on city residents who earn $500,000 a year or more in order to fund a universal prekindergarten program. “The mayor is saying we’re going to have universal preschool. Here. In New York. Yes!” Warren said. It is absolutely about values and not just the politics of getting re-elected.